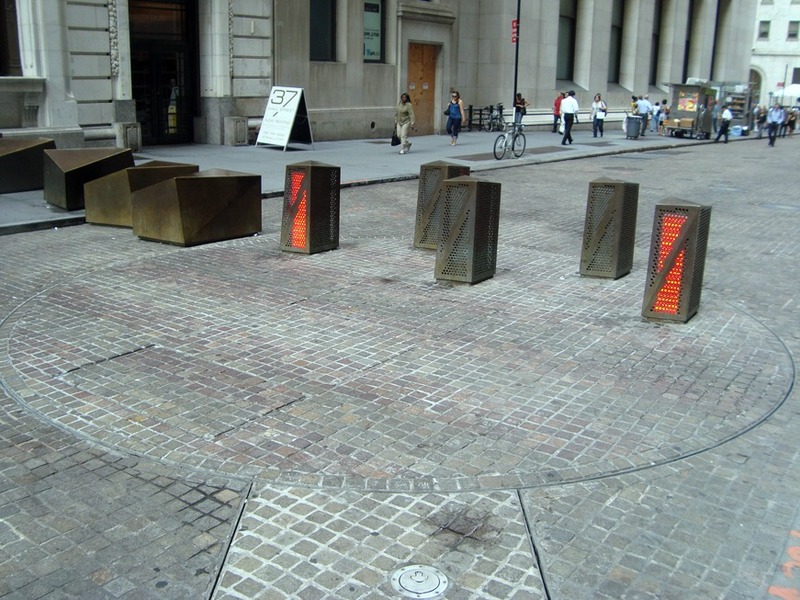 An "anti-terror turntable" designed by Rogers Marvel Architects, where a line of bollards rotate on large turntable set into the street surface. Acting as a security gate that can open and close to allow for vehicle inspections. The LED lights built into the bollards glow red for closed and green for open.